I'm going to refer you today to a post on a wonderful blog, baby meets city, because I think the tip she's sharing is a marvelous new idea for travelers! 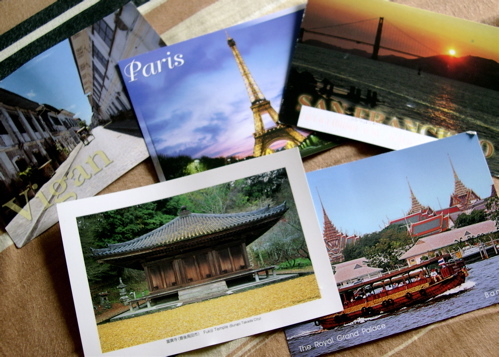 It may put the souvenir postcard industry out of business! Why send your friends a store-bought postcard of the Eiffel Tower, when you can send them a picture-postcard of YOU in front of the Eiffel Tower? Check out how easy it is to send Cellphone Postcards at baby meets city. Thanks for the referral, Sonja! Actually, you should be receiving a postcard from me any day now, so you'll be able to see for yourself. :) Really is such a great idea - wish I'd thought of it!